On Friday 11 September 2015 I attended the annual seminar of the Public Health Information Network for Scotland (PHINS) at Glasgow Royal Concert Hall. Now in its 16th year, the event provides an opportunity to keep up to date with the latest developments in public health related issues and research at both the local and national level. This year’s sessions were focused around two themes: health inequalities in Scotland, and active travel. The first speaker of the day was David Walsh of the Glasgow Centre for Population Health (GCPH). David outlined the findings of research he’s been involved in, looking at explanations for excess mortality in Scotland compared to the rest of the UK and Europe, and in Glasgow particularly. Currently, there are still 5,000 ‘extra’ deaths in Scotland than in England each year, i.e. excess mortality. The scale of urban change post World War 2 had a larger impact on Glasgow, in the form of slum clearances, the construction of poorer housing and large amounts of high rise flats, and limited investment in maintenance of this housing. The ‘socially selective’ new towns programme created social divisions, with only the wealthier and higher-skilled able to move there. 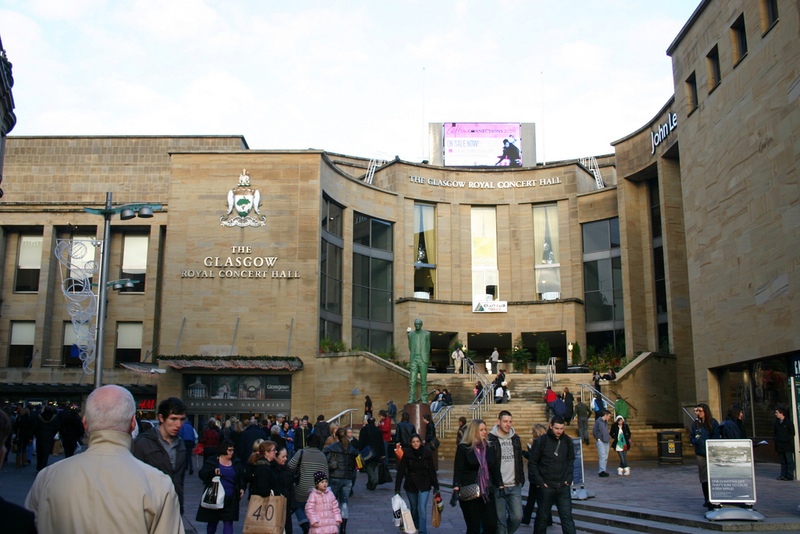 Different responses at the local political level – Manchester and especially Liverpool vehemently resisted the Conservative policies of the time, however this was not the case in Glasgow. The morning also saw a presentation from Jim McCormick from the Joseph Rowntree Foundation (JRF) on rising poverty levels in Scotland and the UK since the recession. Jim suggested that the increasing casual nature of work now seen in the UK is what is driving the rise of poverty. He highlighted the hourglass shaped economy we now have, due to the disappearance of mid-level semi-skilled jobs alongside a rise in higher- and lower-skilled jobs. An analysis of whether a National Living Wage would bring different groups up to the JRF’s annual Minimum Income Standard by 2020 was also presented; according to their findings, the only group that will be close to it is single people without children. The first session after the break saw another presentation from GCPH – this time from Bruce Whyte on trends and challenges in active travel in Scotland (i.e. walking and cycling). It was highlighted that travelling by car remains the most popular mode for people to travel to work, despite the fact that most of the journeys undertaken are short (i.e. less than two miles long). Bruce highlighted successful initiatives in this area in Glasgow, however, including the cycle hire scheme and the development of the Kelvingrove-Anderston cycling and walking route, on which GCPH published a report earlier this year. His presentation included comment from those who use the route on its health and safety benefits, and it was suggested that its success has led to impetus for similar projects in the city. The following presentation came from Niamh Shortt of the Centre for Research on Environment, Society and Health (CRESH) at the University of Edinburgh. She looked at the findings from research into whether the physical environment has an impact on inequalities in physical activity and active travel. Tying in with the first theme of the day, this session noted the impact of health and income inequalities on physical activity rates and travel mode choices. The morning was rounded off by Stuart Hay of Living Streets Scotland, a charity working to promote the benefits of walking and ensure that the country’s streets are fit to do so. Stuart praised the work of the Scottish Government in this area, highlighting the development of a separate walking strategy for the country. He concluded that we have the policy infrastructure in place, and it’s now time to ensure it is implemented. Can investing in public art really improve wellbeing? Child obesity – public health or child protection issue? The Idox Information Service can give you access to a wealth of further information on health inequalities and active travel, to find out more on how to become a member, contact us.